Alternatives to Rainin LTS Tips! SoftFit-L™ pipet tips are molded to be used with Rainin LTS pipettors and are available in volume sizes 20 uL, 200 uL, 300 uL, 1000 uL, and 1200 uL. Tips deliver highly accurate samples, seal well on the pipettor, and are easy to seat and eject. Making them a great and affordable alternative to Rainin LTS Tips. SoftFit-L™ pipet tips offer an expanded selection of ART®, HLT, and low retention designs. The ART® (Aerosol Resistant Tips) series features a self-sealing barrier designed to prevent contamination even under the most demanding conditions. These tips guarantee 100% protection against aerosol and liquid contamination. Low retention tips are designed to reduce sample retention. Molded from virgin polypropylene, they do not use additives or coatings that may affect sample integrity. Low retention tips ensure reduced sample loss due to adhesion, allowing for more accurate dispensing and an increased level of reproducibility from one procedure to the next. Reload inserts for the SoftFit-L™ pipet are color-coded by size. Looking for a more affordable high quality alternative to Rainin LTS Tips? 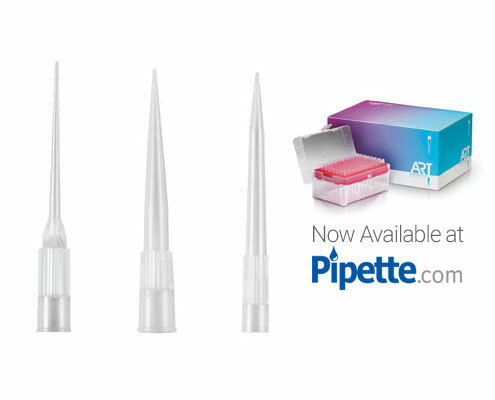 Try the Pipette.com Brand - Click here to learn more.